Lens: Power: 0.45x time conversion factor of your current lens setting plus Macro. Optical System:Conversion type; mounts on front of existing lens. Mounting System: Screw type in front of existing camera lens into the filter accessory threads. 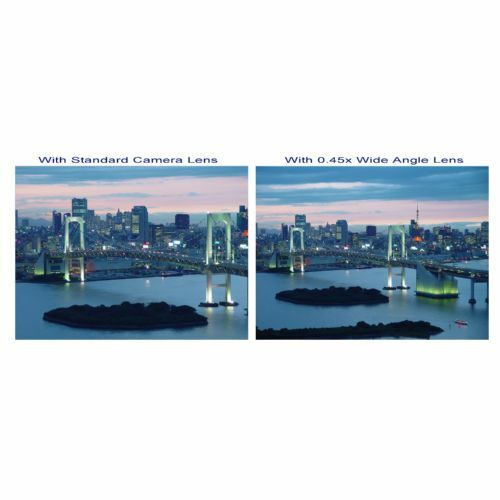 Optics: Auto Focus: Utilizes camera auto focus system. Adaptability: Maintains all the camera functions plus it provides 0.45x wide angle lens conversion power. Macro: The Macro mode is accomplished by unscrewing the front lens assembly and using the section labeled Macro with your existing camera lens. 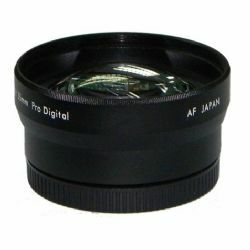 Accepts 62mm Filters. Includes lens cap, bottom cover, stepping ring 30-37mm, & pouch. 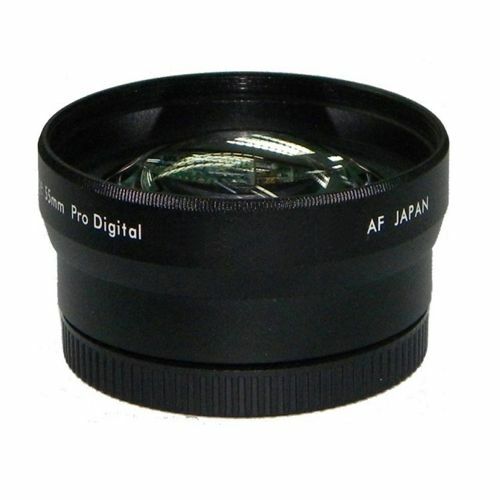 This Item Includes: Lens, Lens Cap, Lens Bottom Cover, Lens Ring (30-37mm), Lens Pouch.